In September 2011 a new programme on language education has started. Kiev healthcare staff can now learn English for free. The facility is organized by Rodion Butko foundation. It is planned to educate 911 kievan medics in 3 months. SUch step is crucial for EURO 2012 preparation because of an urgent need of English speaking specialists to host the championship. Lanugage barrier has always been a major problem for a vast population of Ukraine. 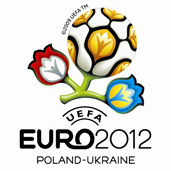 These privately financed language courses will greatly contribute to a successful EURO 2012 in Ukraine. Volunteers Euro-2012 uniform is designed in three colors – dark blue, light blue and red. This was announced during the presentation of clothing assistants European Football Championship 2012, held September 8 in Kiev. First put on the form provided and Friends of Euro 2012, Alexander and Alexander Pedan “Fozzy” Sidorenko. The presentation was held Director of Euro-2012 Ukraine Markiyan Lubkivsky and volunteer project manager Andrew Bantser, according to Information Center of Ukraine-2012.